Does a cheap dehumidifier do the trick? 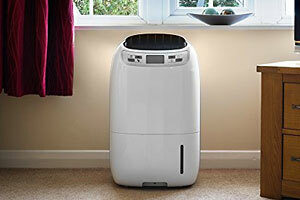 We’ve tested another 10 dehumidifiers – from brands including Ebac, Meaco and Delonghi – and found two Best Buys that are well worth considering. The top scorer breezed through our tough tests to earn a seismic 78%, making it one of the best dehumidifiers we’ve ever tested. You can trust each of the new Best Buy dehumidifiers to pull water from the air rapidly whether working in room temperature or colder conditions. But the better of the two scored more highly for energy efficiency, so should cost you less to run. The worst of the lot isn’t particularly slow – but if you need to get to work on a damp room, you’ll want a dehumidifier that doesn’t waste its time. There’s a £157 price difference between the cheapest and most expensive on test, but we’ve found no direct link between price and quality with dehumidifiers. So it pays to do your research before you buy, otherwise you may overspend on a dud. 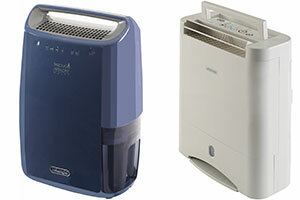 Head to Best Buy dehumidifiers for our reviews of the best models we’ve tested. 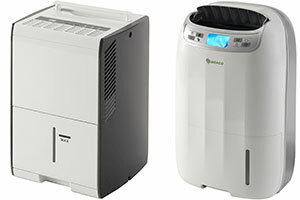 Refrigerant and desiccant dehumidifiers may look similar, but which is better for you? We tested both refrigerant and desiccant dehumidifiers in our latest tests – but do you know the difference between them? Put simply, refrigerant dehumidifiers are designed to work better in higher temperatures and humidities, while desiccants aim to work better in colder temperatures and lower humidities. Refrigerant dehumidifiers are more widely available in the UK than desiccants so may seem like the more obvious choice. But our tests have found some desiccant dehumidifiers that excel in both our room temperature and colder conditions tests, and so are a brilliant choice for cosy lounges and unheated garages alike. Check out our dehumidifier reviews to buy the best dehumidifier for your needs. The most expensive dehumidifier on test, the Meaco 25L Low Energy Dehumididryer (£255), will set you back by £157 more than the cheapest, the Blyss 10L. But what are you paying for? Could the cheaper Blyss (left) be better than the pricey Meaco (right)? For starters, the Blyss claims to be able to pull a maximum of 10 litres of water from the air per day. The Meaco, on the other hand, claims to be able to pull up to 25 litres. However, we’ve found that extraction rates are often based on conditions that you’ll unlikely ever experience in your UK home – read our story on misleading and unrealistic dehumidifier claims to find out more. Meaco claims that its 25L Low Energy Dehumididryer is a viable alternative to a tumble dryer, when used on its laundry mode. Plus, it has an off-timer, a DC motor that Meaco claims saves energy, and four fan levels – which is more than many. In contrast, the Blyss is a much simpler model – it has just one fan speed level. We test all dehumidifiers in the same way to find those that extract water the quickest, so added features and extra functions don’t necessarily have an impact. Could you make a £157 saving and get a better dehumidifier? Head to our Blyss 10L review and the Meaco 25L Low Energy Dehumididryer review to find out. Click on the links below to head to individual reviews. Dehumidifiers are listed in alphabetical order. Prices are correct as of 16 August 2016 and are subject to change.